We love this sink in our new powder room! It is an awesome accent on top of our black concrete counter top and gives the room a rich feel. A true work of art, the Safavieh Brook Bathroom Sink radiates modern flair throughout room décor. 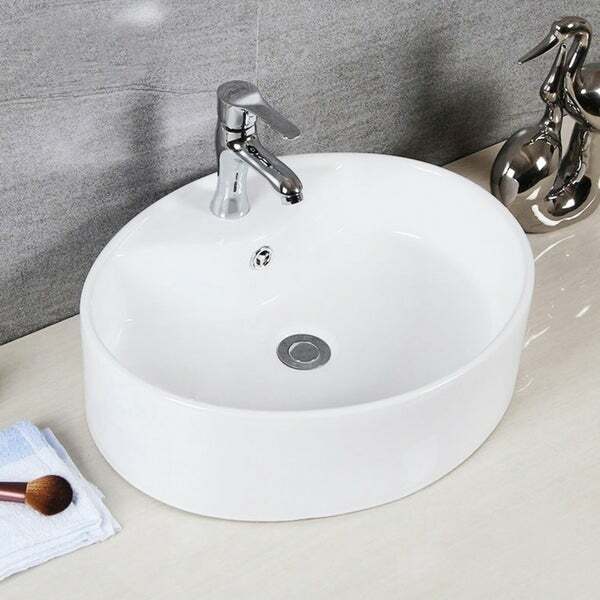 Styled to indulge the demands for trending vessel sinks, Brook features a rounded porcelain basin. I bought this vessel sink for a guest bathroom. It's a basic white sink but it's plenty big enough and I like the oval shape better than going with a rectangular one. Exceptional quality for the price. Works with the tight space and limited depth of the RV cabinet for my Airstream Fantastic impact. Buy this sink! Have not installed yet, but happy with quality. "does this have the drain piece with overflow?" Quality, price and perfect size for my project. Ty overstock!